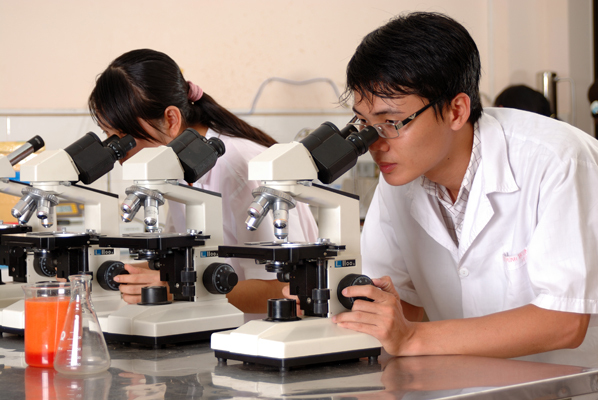 The Ministry of Science and Technology is building a pilot venture investment fund in 2014 to support the successful implementation of the "U.S. Silicon Valley scheme" in Vietnam and to put research works into practical applications. Making the To Lich River’s polluted water drinkable, why not? 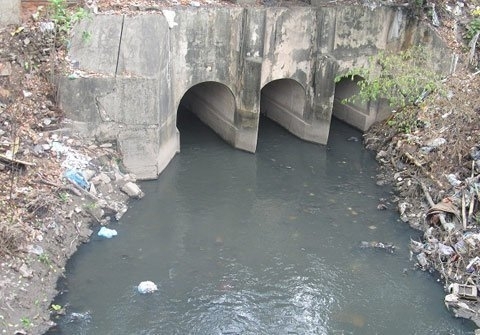 A group of scientists from the Hanoi University of Natural Resources has invented a technology allowing filtering polluted water to get drinkable water. However, people still keep doubts about the startling information. While domestic enterprises have been falling into decay over the last two years due to the economic downturn, foreign invested enterprises still have been making profit and scaling up their production. Five hundred solar treatment systems will be installed in remote areas in HCM City, Da Nang and Ha Noi to supply potable water. Vietnam’s economic growth rate in 2012 is likely stay at 5.1 percent, the lowest ever since 2000 while the inflation rate will reach 6.2 percent. 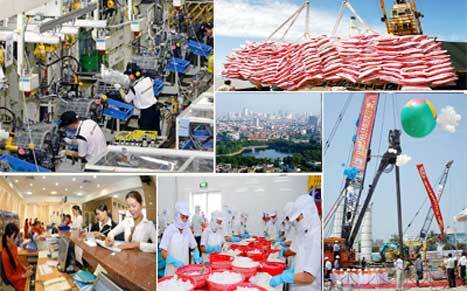 The UN Economic and Social Commission for Asia and the Pacific (ESCAP) has forecast the Vietnamese economy will grow at a rate of 5.8 percent in 2012 and the country’s inflation rate is likely to fall back to single digit by the second half of the year. 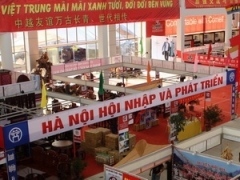 Vietnam has been a member of the World Trade Organization (WTO) for five years, with Vietnamese businesses increasing their competitiveness, rather than have been crushed by foreign rivals. However, they still need to strengthen their competitiveness, Deputy Minister of Industry and Trade Nguyen Cam Tu said at a scientific conference entitled, "Vietnamese Business Competitiveness after Five Years of WTO Membership", which was held on March 9 by the Communist Journal, the Ministry of Industry and Trade, and the National Committee for International Economic Cooperation. Several textile and garment firms have seized opportunities in this difficult economic situation by taking over inefficient factories. New businesses brought 30.66 trillion VND (1.46 billion USD) in registered capital to the nation in February, up 69 percent in value and 10 percent in volume over January, according to the General Statistics Office (GSO). Two female Vietnamese scientists were presented with the Kovalevskaya Prize at a ceremony in Hanoi on Mar. 3 to honour their great contributions to science. Representatives from businesses of Vietnam and Argentina gathered in Hanoi on Feb. 20 for the first connectivity and technology forum between the two countries. Vietnam should cooperate more with the US in science and technology to strengthen the country’s economy, an US scientist has said. On December 14th, 2011 at Ministry of Industry and Trade’s office, Opening session of 2011 Commerce Counselors Conference has been held with participation of Commerce Counselors, Heads of Branch Offices and Attaches from 56 Commercial Sections and Branches in Asian, European, American and South – West Asian and African countries, representatives of Ministries and Branches, Vietnamese Ambassadors to several countries, enterprises, associations and Leaders of Ministry of Industry and Trade. On December 13th, 2011, at Sofitel Plazza Hotel, Hanoi, Ministry of Industry and Trade and United Nation Industrial Development Organization (UNIDO) co-organized a ceremony to launch Vietnam Industrial Competitiveness Report 2011 (VICR 2011). 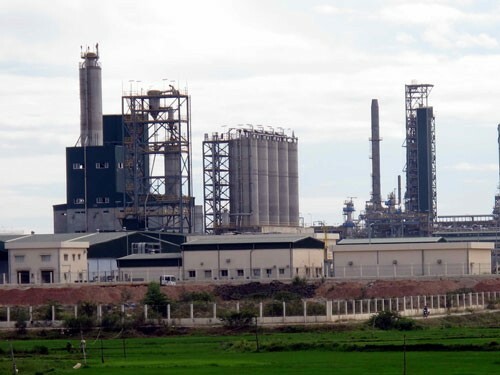 The objective of Report is to make contribution to policies discussion by proposing theoretical framework on industrial competitiveness drives, positioning Vietnamese industries in international landscape, defining shortcomings to be solved and proposing recommendations to Vietnamese policy-makers. Having realized about the big interests of Japanese enterprises in Vietnam as a potential investment destination, local authorities have got ready to lure the investors from the sun rise country. Audit reports showed that petrol distributors had suffered a huge loss worth VND10 trillion (US$476.2 million) in the past four years (2008-11), though they received compensation for such losses from the State, Minister of Industry and Trade Vu Huy Hoang said yesterday. Student Pham Van Quan is among 20 young scientists from all over the world who won Germany’s “Green Talents” 2011 for young scientists. A workshop to clarify the Environmentally and Climate-friendly Urban Development in Danang (ECUD) was held on December 7 by the Danang People’s Committee. After being healed, the Hoan Kiem Lake’s legendary turtle has risen to the surface many times. On December 5, the turtle resurfaced twice. 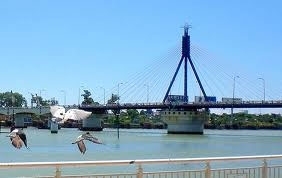 Denmark will help Vietnam build and operate wind farms in provinces and cities across the country. Nearly 200 representatives from Vietnamese and Chinese businesses attended a trade promotion forum in the Chinese city of Tianjin on November 25. Vietnam may raise electricity prices by more than 10 percent next year, but tariffs for poor households will remain unchanged, according to Minister of Finance Vuong Dinh Hue. A national space centre will be built at an investment of over 600 million USD and is expected to be completed in 2018.